Need to pay for your new heating and air conditioning system over time? We have special financing available with approved credit through Wells Fargo. 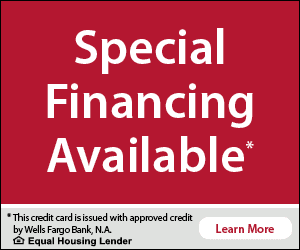 Special Financing with approved credit provided by Wells Fargo Bank, N.A., an Equal Housing Lender.